From the inscriptions on the temple walls, it is known that this temple was built during the reign of Eastern Gangas. Eastern Ganga King Ananta Varma Choda Ganga Deva who was an ardent devotee of Lord Siva built the temple in 1010 A.D. Neelakanteswara, Sangameswara, Mallikarjuna and Naleswara Siva shrines are located within the temple complex. Shrine of Neelakanteswara is bigger than the remaining Shrines in the complex. The entrance door was beautifully carved with the Idols of Navagrahas and Lakshmi. Rich carvings of Siva, Kartikeya, Brahma, Vishnu, Saraswati, Nataraj, Arthanareeswara, Vinayaka, Mahisasura Mardini can be seen on the walls of Garba Griha. Sangameswara shrine is located to the north of Nilakanteswara shrine. 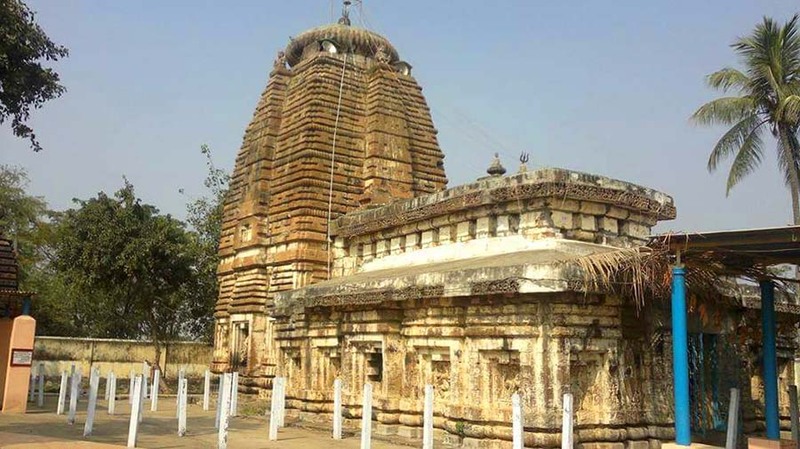 This temple reflects Kalinga architecture and culture. Naleswara shrine is located to the South of Nilakanteswara shrine.